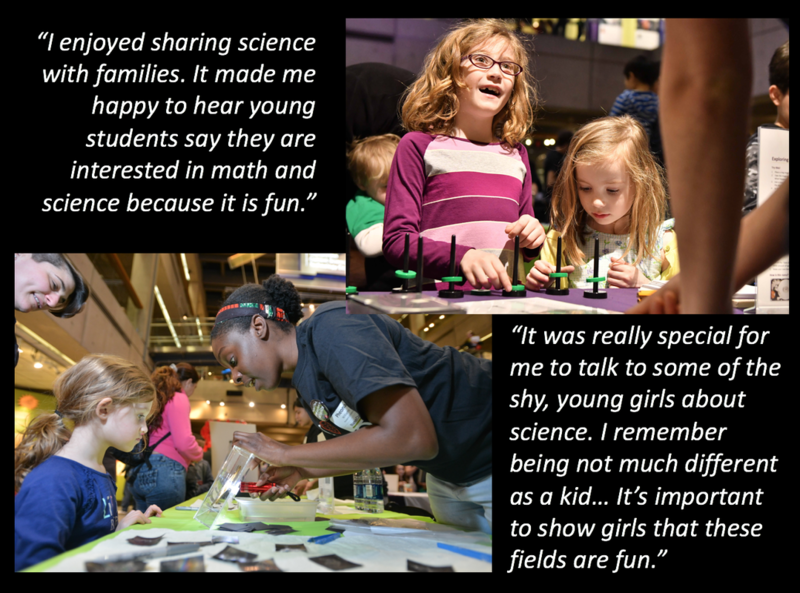 The Sharing Science Workshop & Practicum is a two half-day or one full-day immersion in inquiry-based learning using hands-on demos and dialogue to engage youth and public audiences. The Practicum portion takes place in the Museum's exhibit halls, as participants try out new approaches with Museum visitors. 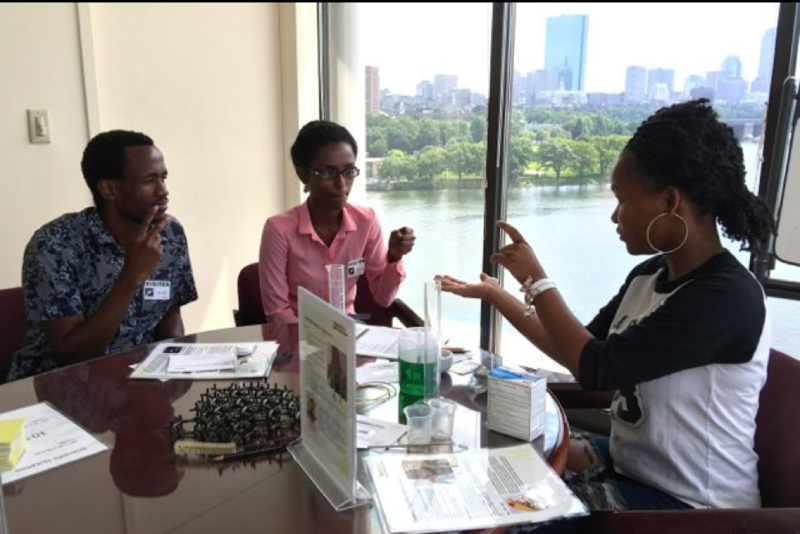 CIQM students from Gallaudet University working out how to share hands-on demos with Deaf and Hard-of-Hearing communities.